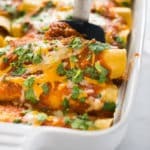 Healthy slow cooker meals are easy to prep and the best solution for when you don’t have time to cook dinner, but want to surprise your family with a delicious meal every night. I’ve gathered our family’s favorite slow cooker recipes all in one place for easy reference! I HEART my slow cooker. It makes everything taste better. And the flavors – oh the flavors. They are just the best. Another amazing thing about the slow cooker is that, in a matter of minutes, the prep step is done and you can let the slow cooker do its thing. 10 or 15 minutes of prep time max. Which means you can prep the ingredients, throw them in the slow cooker, and then forget about them for a few hours. You can even run errands, work, or spend time with your kids during these hours. 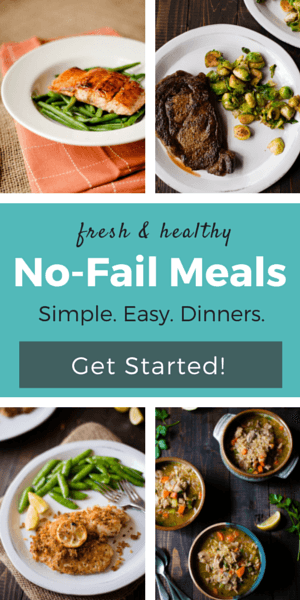 Without having to check on your healthy crockpot meals once! When the healthy crockpot meals are ready, you just have to transfer them from the slow cooker to a serving plate or bowl and enjoy them. These are all slow cooker healthy recipes. 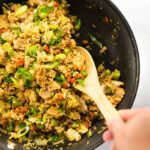 Since guilt-free delicious meals are all we want during busy weeknights, I’m happy to share this list of healthy crockpot dinners with you. 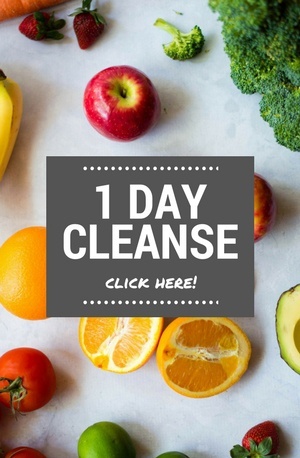 It will allow you to save time cooking dinner and the recipes are great for meal prep too. Which means more easy healthy crockpot meals for your family. Most healthy slow cooker recipes make easy healthy crockpot meals. You don’t have to spend hours prepping the ingredients or making sure everything is cooked perfectly. And you don’t need many tools either. 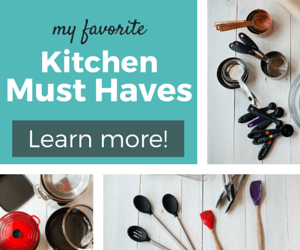 A few kitchen tools are more than enough. 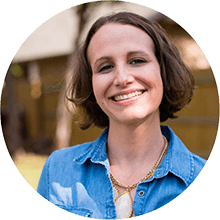 In case you want to know what tools you need to make these healthy crockpot dinners, I made a list for you. Let’s start with the obvious one – the magical slow cooker. 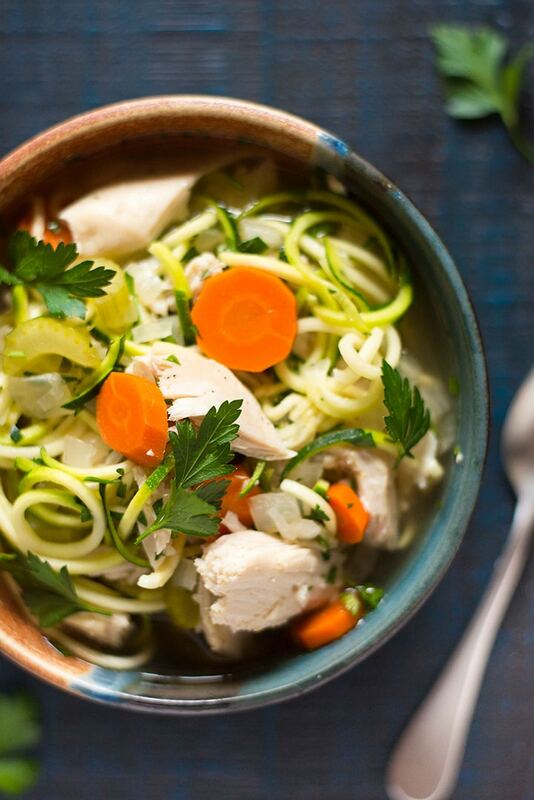 If you want to make healthy crockpot meals low-carb, you’ll need a spiralizer for zucchini noodles. Some healthy slow cooker recipes require a little bit of prep. A food processor and a kitchen blender or an immersion blender are very helpful tools. Others require a little bit of cooking before throwing all the ingredients in the slow cooker. For this, you’ll need a large skillet. 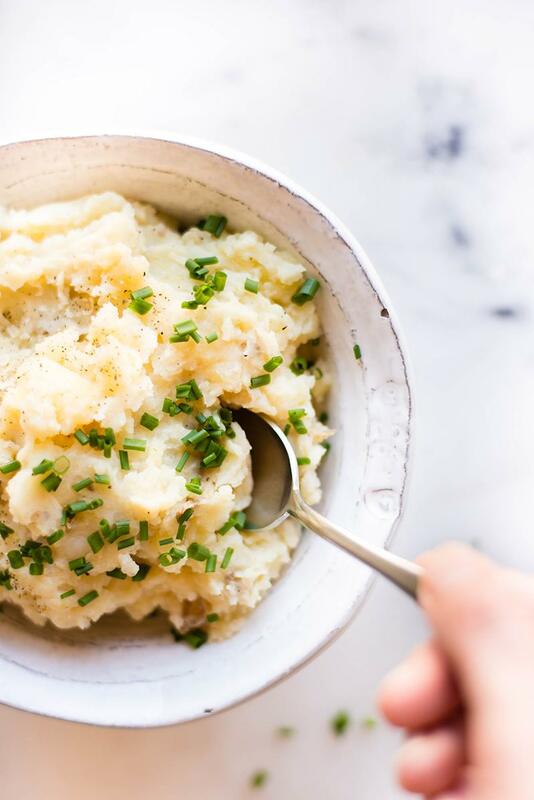 If you want to make delicious mashed potatoes in the slow cooker with little to no effort, you totally can. You’ll need a potato masher to make them smooth and creamy. Healthy slow cooker recipes are easy. And you don’t have to struggle to get a delicious taste or amazing flavors. However, I have to share some tips that will make your healthy crockpot meals more delicious than they already are. Woot! Use fresh ingredients – to make easy healthy crockpot meals flavorful, use fresh veggies and herbs. The taste and flavors will be better than if you’d use frozen ingredients. 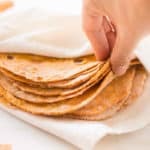 Prep the ingredients ahead of time – cut the meat, slice the veggies, cook some of the ingredients when required – if you want to use these healthy slow cooker recipes for meal prep. Then all you have to do is to place the ingredients in the slow cooker and go on with your day. Not all slow cookers are the same so, when testing new slow cooker healthy recipes, make sure you adjust the time accordingly. For example, large slow cookers take longer to heat and to cook so keep that in mind when you try these healthy crockpot meals. 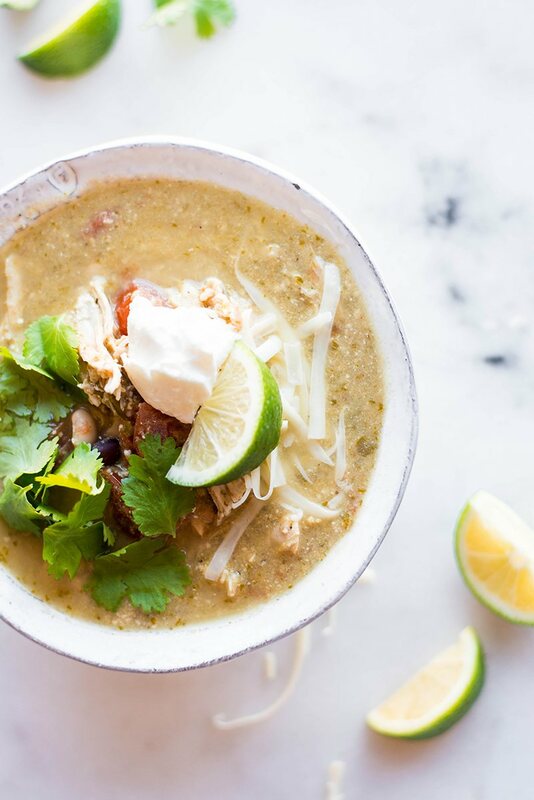 These easy healthy crockpot recipes will make you fall in love with your slow cooker again. So be ready for some tasty and full of flavor healthy crockpot dinners that require only a few minutes of prep time. And, to make things easier for you, each recipe has the prep time, cook time, and calories listed. Grab your slow cooker and let’s get started! The easiest healthy crockpot recipes are soups. Soups like this delicious Healthy Slow Cooker Split Pea Soup that requires only 5 minutes of prep time. Another example of how easy healthy crockpot recipes are is this Slow Cooker Chicken Noodle Soup (A Healthy Meal Option!). 10 minutes prep time and you can enjoy this comforting soup for dinner. 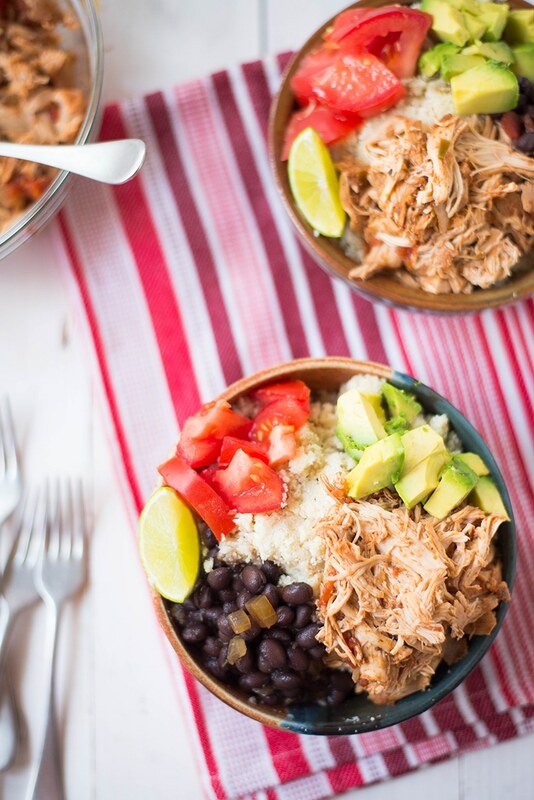 If you want delicious, hearty but healthy crockpot dinners, make Slow Cooker Chicken Burrito Bowls. It’s easy and it doesn’t take a low of effort but weeknight dinner will definitely be more delicious. When making slow cooker recipes healthy, you can actually transform comfort food dishes into healthy dishes. This is what I did with this Crock Pot Chicken Enchilada Soup. It’s still a flavorful and yummy dish. But it’s healthy too. 5. HEALTHY SLOW COOKER BEEF STEW – PERFECT MAKE AHEAD DINNER IDEA! Other awesome easy healthy crockpot recipes I love are stew recipes. 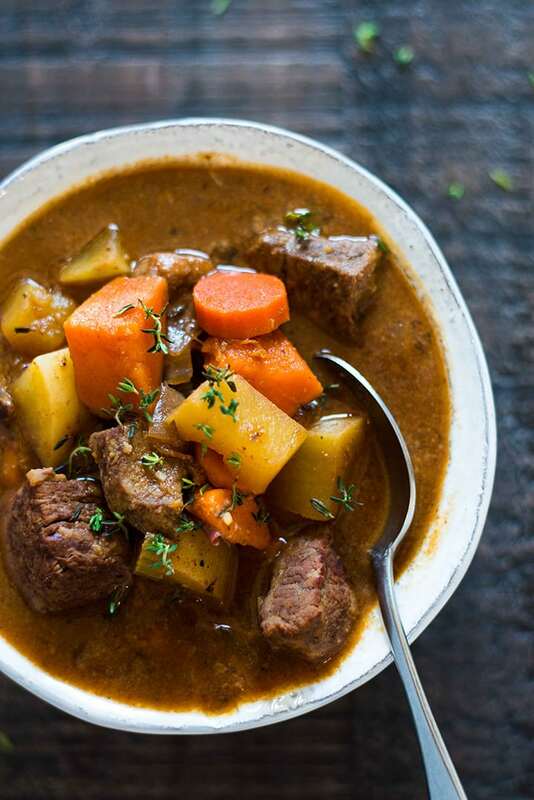 Rich, hearty, perfect for winter nights stews like this Healthy Slow Cooker Beef Stew. And yes, this is a Perfect Make Ahead Dinner Idea. Another amazing thing you can do with a slow cooker is to turn classic recipes into skinny crockpot recipes. These Healthier Crock Pot Mashed Potatoes are a great example. 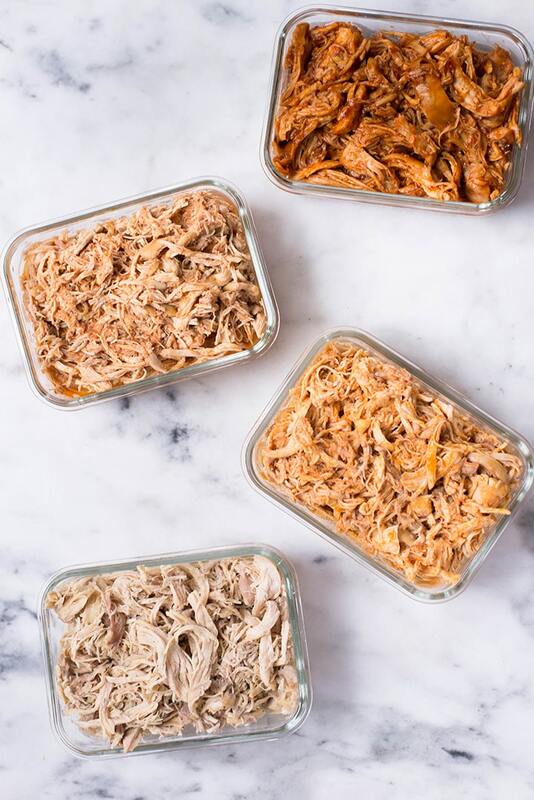 The 4 easy healthy slow cooker recipes you’ll find in this Slow Cooker Shredded Chicken Meal Prep post are perfect for prepping and cooking chicken. You can use the shredded chicken in so many different recipes to make healthy and delicious meals. How are you loving these easy healthy crockpot meals so far? I hope you love them a lot because I have more! 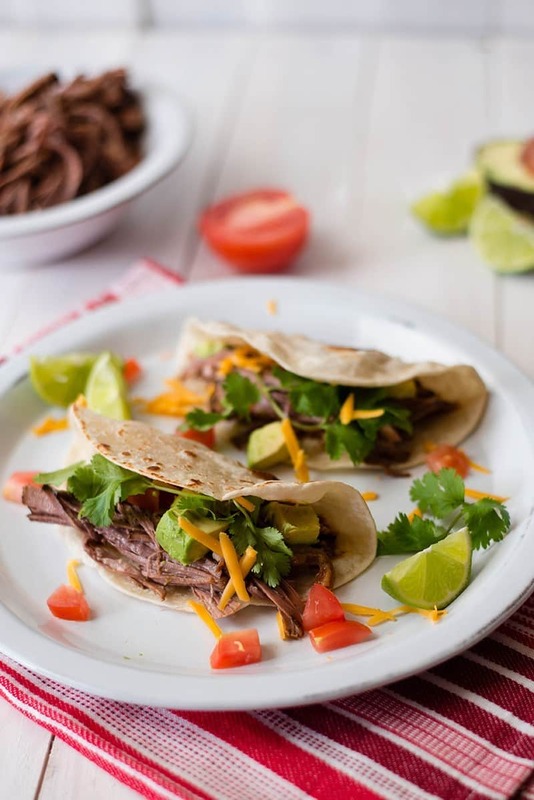 And they are just as easy and delicious like these Crock Pot Shredded Beef Tacos. 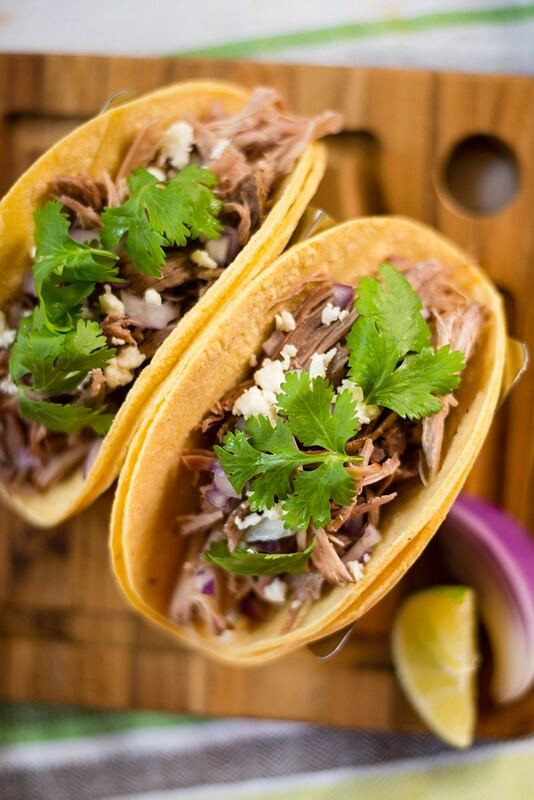 And, while we’re on the topic of tacos, make sure you try these Slow Cooker Green Chile Pork Tacos too. 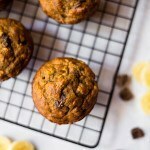 They are full of flavor and tasty but no guilt will be involved in the process of making or eating them. 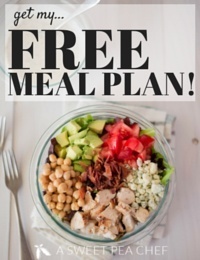 Turn your favorite takeout meals into low calorie slow cooker recipes and enjoy them guilt free. Like you did with the tacos we just talked about. 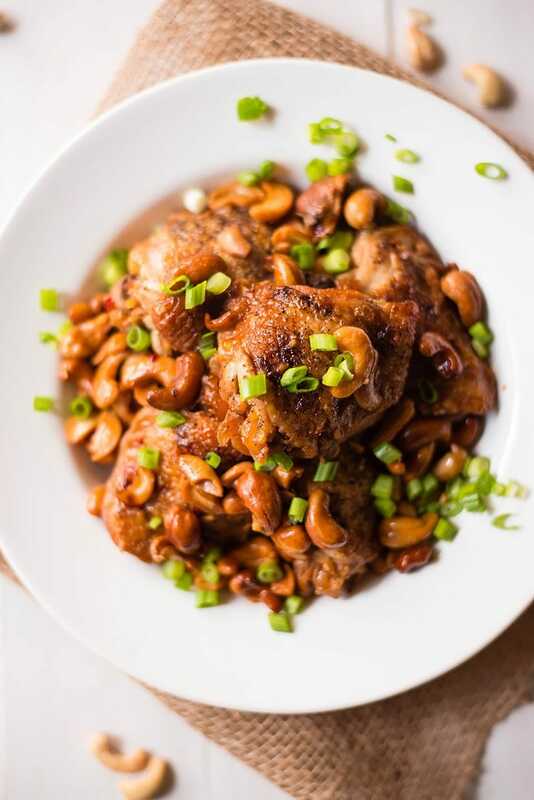 You can do this with Slow Cooker Cashew Chicken as well. Such a perfect weeknight dinner. Kids love it too. 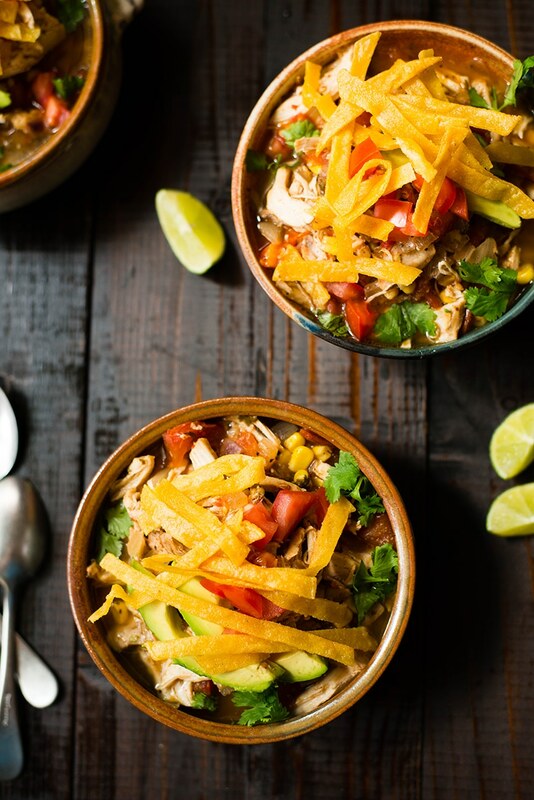 Going back to the slow cooker healthy recipes that make delicious soups to talk about this Slow Cooker Chicken Tortilla Soup. The soup is made with fresh ingredients, it’s hearty, full of flavor, and totes amazing. Do you know what other easy healthy crockpot meals you can make? Besides soups and stews, I mean. Curry! You can make delicious curry in the slow cooker. 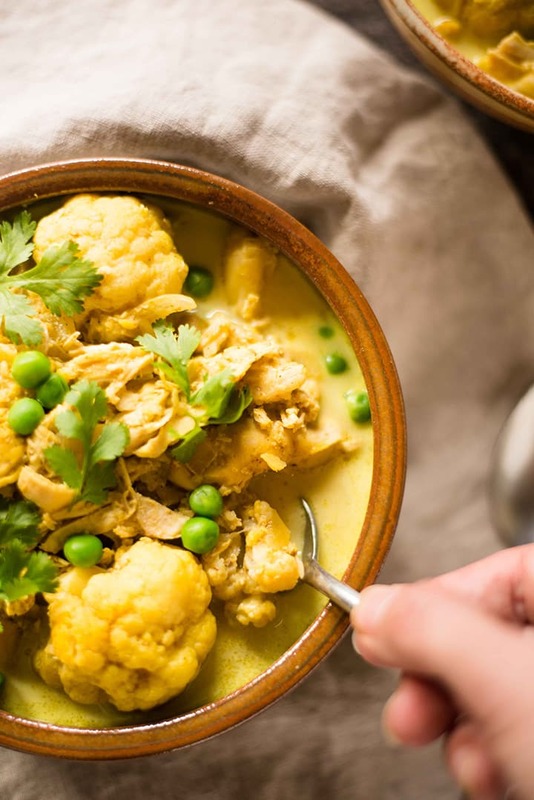 This Slow Cooker Chicken Cauliflower Curry is a low calorie slow cooker recipe I love to make during cold Fall and Winter days. 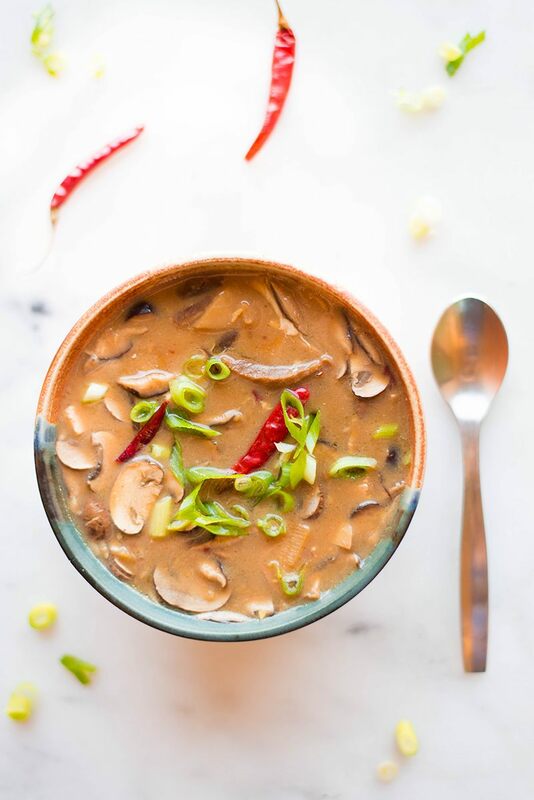 Only 206 calories in this Slow Cooker Hot And Sour Soup. And just 10 minutes prep time. But the taste and flavors are wonderful. Healthy crockpot recipes are amazing like that! This post contains affiliate links for products I use frequently and highly recommend.